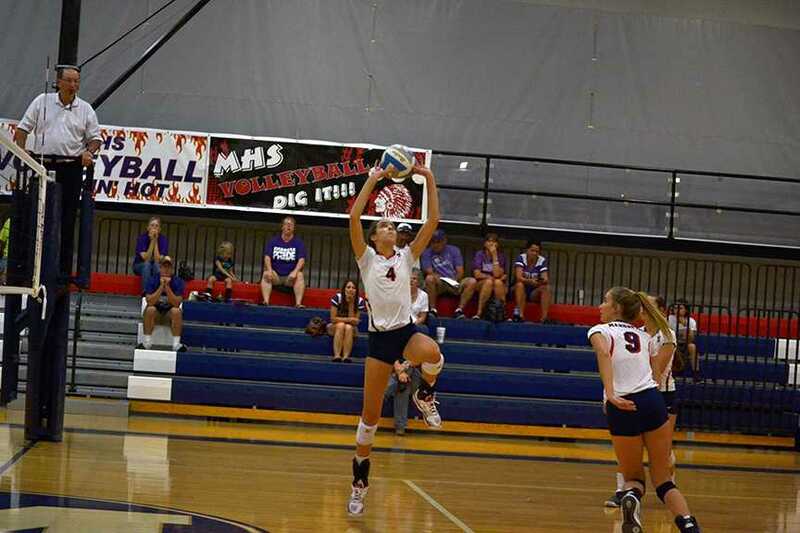 Last night’s quad was a fun time and some good bowling for Manhattan High’s teams, but that wasn’t enough to surpass Shawnee Heights, leaving both MHS boys teams in second and girls in third. 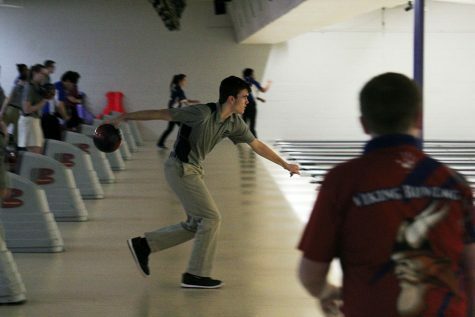 MHS faced off against Junction City, Emporia, Shawnee Heights teams at Little Apple Lanes. Although it was a home meet, both J.V. and Varsity teams got second place, while junior Nathaniel Chaput got third individually from the meet. The girls Varsity-only team earned third place. 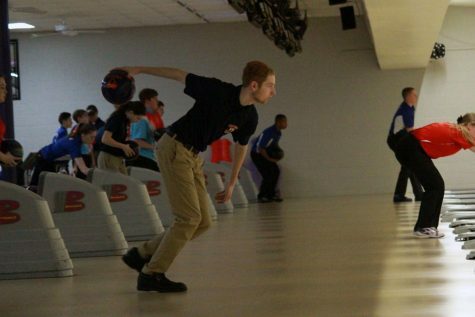 On the Varsity team, junior Michael Moran got a score of 484 on his series and Chaput got a 602. Freshman Connor Weyand got a 526, while sophomores Grant Terril bowled a 600, Brandon Bragg got a 515 series and Avery Groover got a 476. “It went pretty good all around,” Terril said. 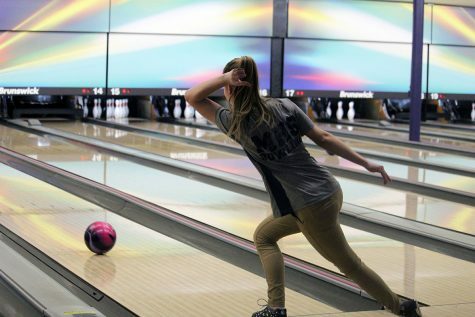 Each team bowled a standard game and each team took the top players average scores and compared it to the other teams. The overall winners for boys Varsity and J.V. and for girls were Shawnee Heights. 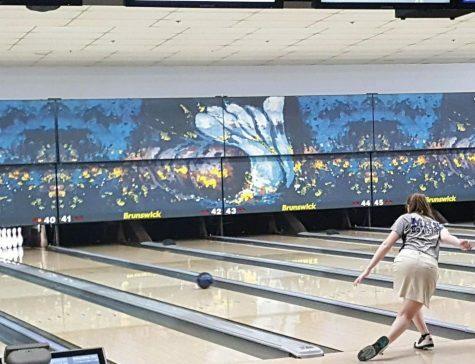 Chaput’s first game was his best where he got a score of 245 and got back-to-back strikes multiple times and was 55 pins away from a perfect game. Another player on J.V. who achieved a great series of 604 was freshman Evan Wasanger. He bowled the best from MHS.